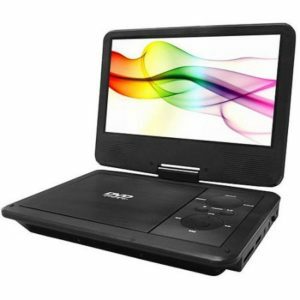 The ONN 7″ Portable DVD Player with Matching Headphones and Bag offer convenience for music lovers on the go. Take your favorite movies, videos and sound with you on the bus or in the car. The built-in rechargeable battery allows you to use this quality device over and over with your media. 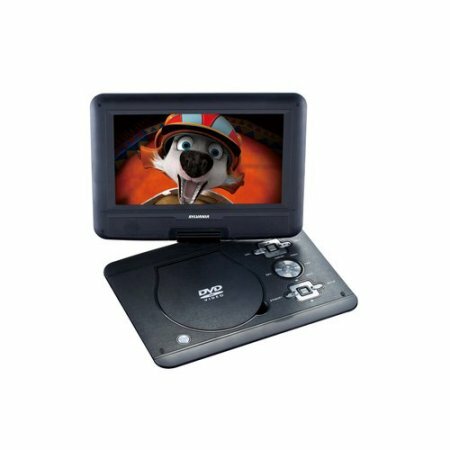 The LCD Portable DVD Player features a 7″ screen that tilts and swivels a full 180-degree for an optimum-viewing angle. The excellent quality video is complemented with nice audio. Whether you are listening through the included headphones or the precision built-in speakers you will enjoy the crystal clear audio. 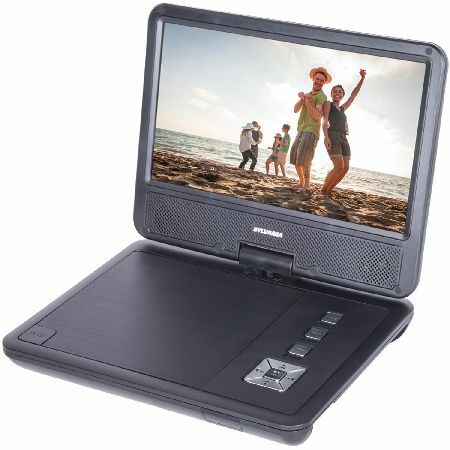 The ONN Portable DVD player comes with a matching bag to protect it when traveling. The included bag provides additional storage when traveling with the set. 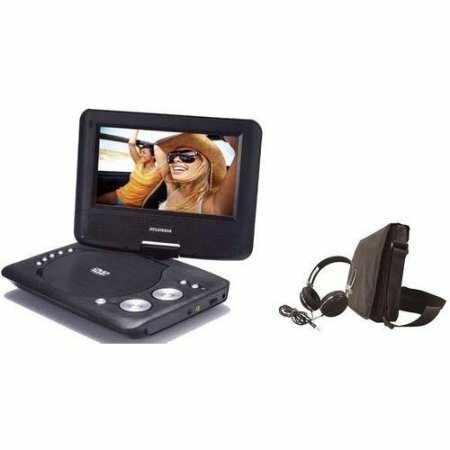 The ONN 7″ Portable DVD Player with Matching Headphones and Bag is only available in Black Color. 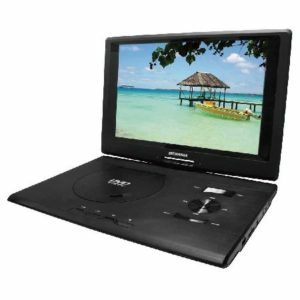 This ONN seven-inch Combo PDVD features a 180-degree swivel LCD screen and it’s DVD, DVD R/RW, CD, CD R/RW, MP3 and JPEG compatible. 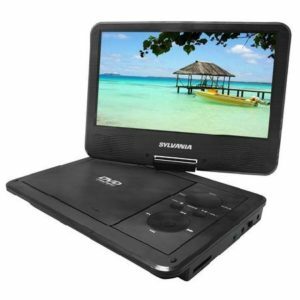 Watch your favorite DVDs on the go with Sylvania's 9 in. 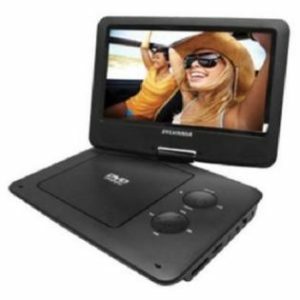 Swivel-Screen Portable DVD and Media Player with Earphones. Its slim design lets you to take it just about anywhere you go. Plus, you can jump into a movie right out of the box-just plug in the included stereo earphones, pop in a DVD and press play. Leave the wires at home with the built-in battery, or use the included car adapter to keep the battery powered up for those long car rides. The battery takes just 5 hours to recharge and has a playback time of 5 hours as well! 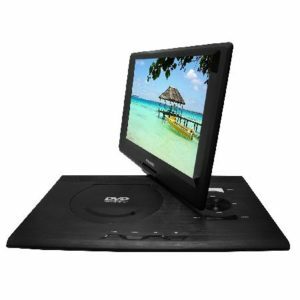 Enjoy your favorite movies from anywhere with the ONN ONA16AV009 10-inch Portable DVD Player. You can use it to play DVDs and CDS as well as MP3s and more. The ONN DVD player has a stereo audio output and memory card inputs. It is also JPEG compatible so you can view your still photos on the device.